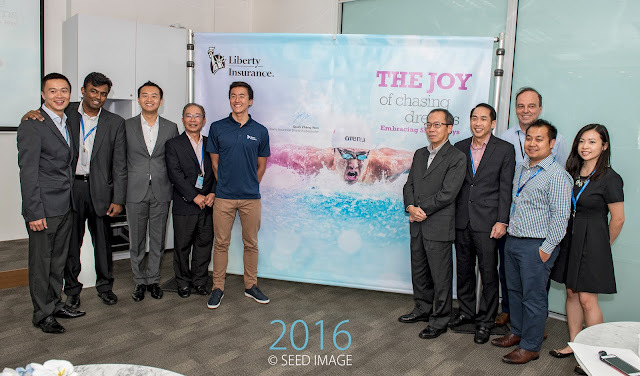 "Embracing Simple Joys" is the tagline of the new National Branding Campaign unveiled by Liberty Insurance with local Brand Ambassador, National Swimmer, Quah Zheng Wen. The campaign showcases Zheng Wen as he prepares for the Games in Rio De Janeiro, Brazil this year. Winning a total of 12 medals at the 2015 Southeast Asian Games, Zheng Wen is one of Singapore's most promising young althletes. He will be competing in the Rio de Janeiro Games this August. He is the face of Liberty Insurance as the insurance company makes its first major splash into the public's consciousness. The CEO of Liberty Insurance Singapore, Chang Sucheng said "Through determination, discipline and hard work, Zheng Wen has shown that our local athletes can compete on the global stage. Despite his intensive training schedule, he still finds time to enjoy the simple joys in life. 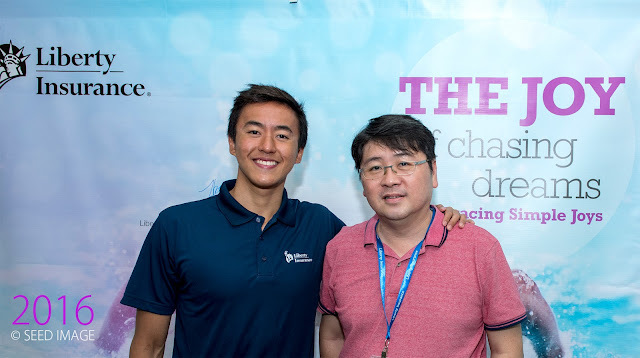 We are proud to be partnering with Zheng Wen to inspire future generations of athletes to pursue their dreams, as well as to rally Singaporeans to cheer on Team Singapore during the Rio Games." Zheng Wen commented, " Like everyone else, I'm in the midst of chasing my dreams. This means facing challenges and sacrifices, which makes me treasure the simple moments with my loved ones greatly. I am humbled and honored to be Liberty Insurance's partner in this national brand campaign." The campaign focus on helping it's customers remove complexity and confusion that is usually associated with insurance. By making life simple for its customers, Liberty Insurance seeks to enable more Singaporeans to spend quality time with their family and loved ones, and, in doing so, embrace the simple joys in life.